LONDON: The United Kingdom’s exit from the European Union was in disarray on Sunday as Prime Minister Theresa May faced a possible plot by ministers to topple her and parliament prepared to grab control of Brexit from the government, reports Reuters. “I’m realistic that we may not be able to get a majority for the prime minister’s (Brexit) deal and if that is the case then parliament will have to decide not just what it’s against but what it is for,” he said. Brexit had been due to happen on March 29 before May secured a delay in talks with the EU on Thursday. 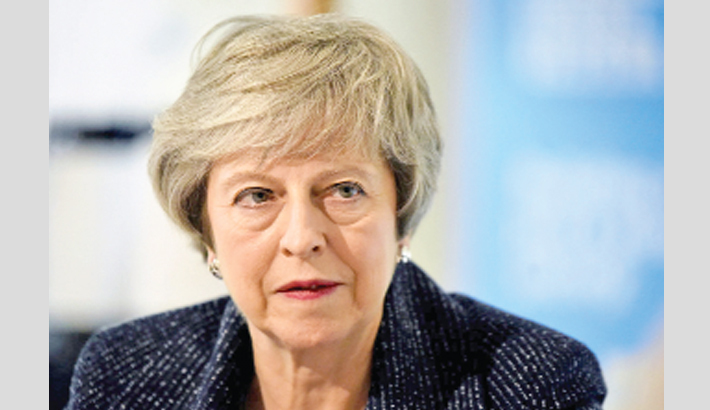 “I don’t think that I have any wish to take over from the PM, I think (she) is doing a fantastic job,” Lidington told reporters outside his house. propose changes, or amendments, to this motion setting out alternative ways forward on Brexit. These are expected to include a proposal to approve May’s deal only if it is put to a public vote.